SP Gear 1041 is a special, semi-synthetic transmission oil for manual Mercedes-Benz transmissions. By using selected synthetic base oils and special additives, this product ensures optimal lubrication and outstanding gear-changing properties. 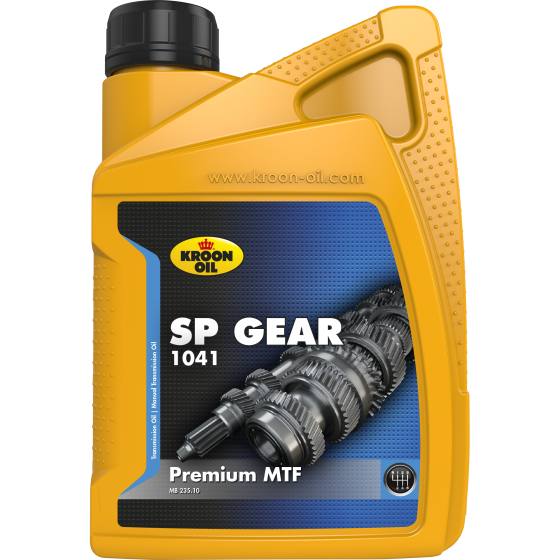 SP Gear 1041 is a special transmission oil, developed for use in Mercedes-Benz transmissions that require a MB 235.10 specification. The use of SP Gear 1041 is prescribed as mandatory for a range of Mercedes-Benz cars and vans. Always consult the Kroon-Oil advisory database for optimal use.